Near NYC? Collect anything unique or out of the ordinary? Want to be on the next episode of "Oddities?" Email your info to odditiesshow@gmail.com!!!! The producers will be in touch! 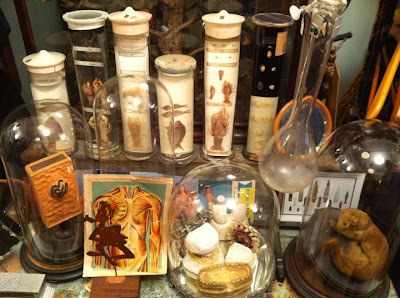 This call for collectors just in from the production crew of "Oddities," the new Discovery and Science Channel series based on Obscura Antiques and Oddities in New York City. If you are a collector of unusual things and interested in appearing on the show--or would like additional information--email odditiesshow@gmail.com. You can find out more about the show at this recent post and on the official website by clicking here.